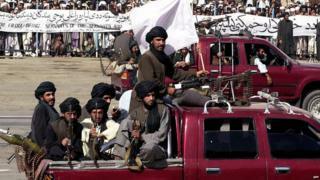 The Taliban have appointed a successor to Mullah Omar, who led the movement for some 20 years. The death of Mullah Omar - reported by the Afghan government on Wednesday - was confirmed by the Taliban on Thursday, the BBC has been told. His deputy, Mullah Akhtar Mansour, will replace him, sources close to the Taliban leadership said. A Taliban statement did not say where, when or how Mullah Omar died, only that it was from an illness and that he had remained in Afghanistan since the 2001 US invasion. This conflicts with the account given by Afghanistan, which said Mullah Omar died in hospital in the Pakistani city of Karachi two years ago. Pakistan has always denied that he was in the country. The death has disrupted peace talks between Afghanistan and the insurgents, with a second round of negotiations due on Friday postponed. Pakistan, which had been set to play host, said they were put back at the request of the Taliban's leadership amid uncertainty over Mullah Omar's death. The naming of Mullah Mansour as Taliban leader was far from unanimous and followed days of intense debate. Sources close to the movement's leading council, or shura, say many senior commanders and other Taliban heavyweights were dismayed by the decision. They are thought to include the movement's top military commander, Mullah Qaum Zakir, as well as Tayeb Agha, the head of the Taliban's political office in Qatar, and Mullah Habibullah, a member of the Quetta shura. They would have preferred Mullah Omar's son, Yaqoob, to succeed him, and accuse pro-Pakistani circles of imposing Mullah Mansour on the rebels. A Taliban statement distancing the movement from more talks with the Afghan government reflects splits over how to proceed. However, Mullah Mansour is pro-talks. The group appointed Siraj Haqqani, a key leader in another major Afghan military group, the Haqqani network, as Mansour's deputy, sources said. Haqqani has a $10m (£6.4m) US bounty on his head for alleged involvement in an attack on a Kabul hotel that left six people dead and for his participation in cross-border attacks on US and coalition forces. Mansour becomes only the second person to lead the Taliban after Mullah Omar, who founded the group during Afghanistan's civil war in the early 1990s. He had been in hiding ever since, and although was not thought to have significant day-to-day involvement in the group remained a key figurehead.